Witterstaetter Writes: Eva Ink Publishing Schedule for 2012-- A Preview! Eva Ink Publishing Schedule for 2012-- A Preview! 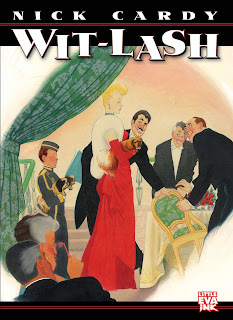 As we start gearing up for the New Year, LEI Publishing (aka Eva Ink Publishing, aka Little Eva Ink Publishing) is starting to put together our publishing wish list for 2012, and we do have some great things planned for you all. 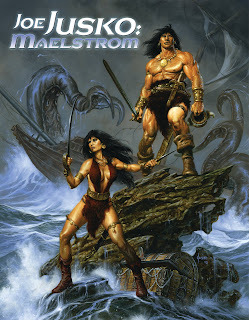 As already announced, we'll be doing a new hardcover sketchbook on artist Joe Jusko, entitled "Joe Jusko: Maelstrom." A wonderful companion piece to last year's "Joe Jusko: Savage Beauty." In addition, we've just announce the new art book full of text and art on the amazing Nick Cardy, entitled "Nick Cardy: Wit-Lash!" And again, a perfect follow up to this year's "Nick Cardy: The Artist at War." Other books include two new Michael Golden books, one hardcover "Dangerous Curves," and also a softcover preview book to debut at the San Diego Comic Con. "Dangerous Curves" will be a wonderful companion piece for "Michael Golden: Heroes and Villains," (which has sold out), and "Michael Golden: MORE Heroes and Villains." On artist Mark Texeira, we are planning a 6x8 softcover sketchbook book as a companion to this year's "Mark Texeira: Nightmares and Daydreams. "To be followed by another hardcover later in the year. Note that we do not ever duplicate artwork. Each book will contain artwork not found in any other Eva Ink volume. So much to publish! But for us at LEI, the joy of putting out hardcover and softcover books, signed editions and the sketch editions that we have become known for, is something we take great pride in bringing to you. There is a new Santa Claus book planned as well, for next Christmas! That one is going to be fun! Saying Good-bye to 2011! Hello 2012!